available to rent for our UK customers. We recommend that all our clients take at least one pair of binoculars per couple on safari or, ideally, one pair each so that you are each able to watch hunts or appreciate what you are viewing at the same time. We do realise, however, that purchasing one pair of high-quality binoculars per person may be expensive - especially if this is your first time on safari or you are travelling as a family or group. For this reason, we now rent out high-quality, well-maintained binoculars for you to take on safari. 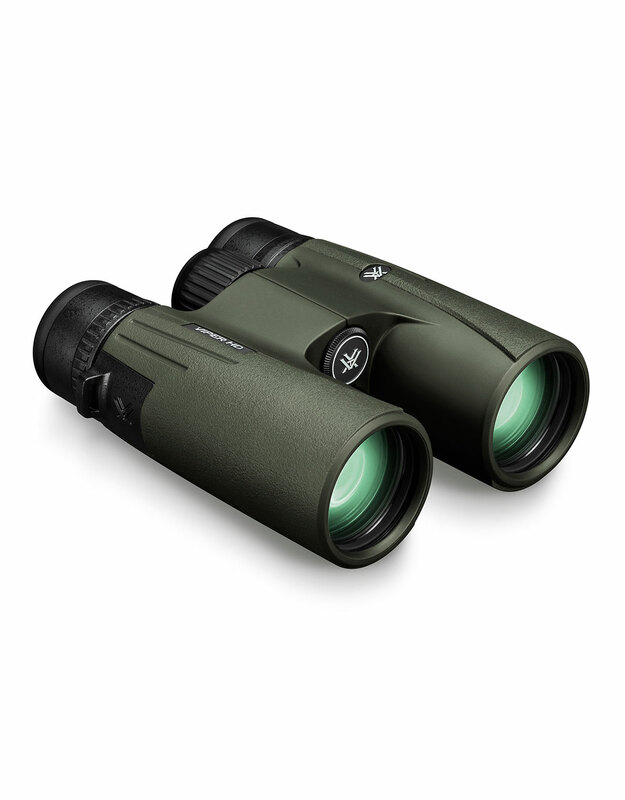 Renting the Vortex Crossfire 10x42 binoculars is a quality, performance-driven choice. 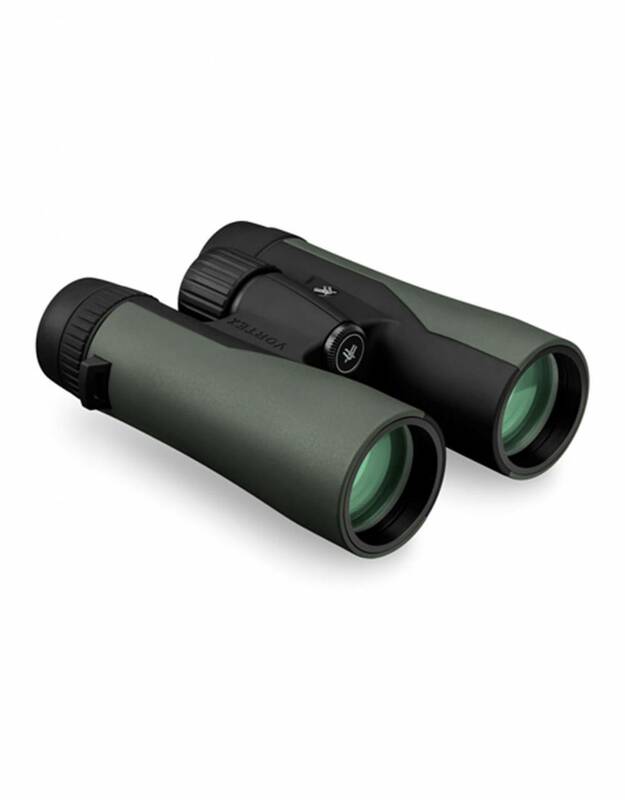 Entry-level rental pricing for binoculars which feature fully multi-coated lenses & a wide field of view. 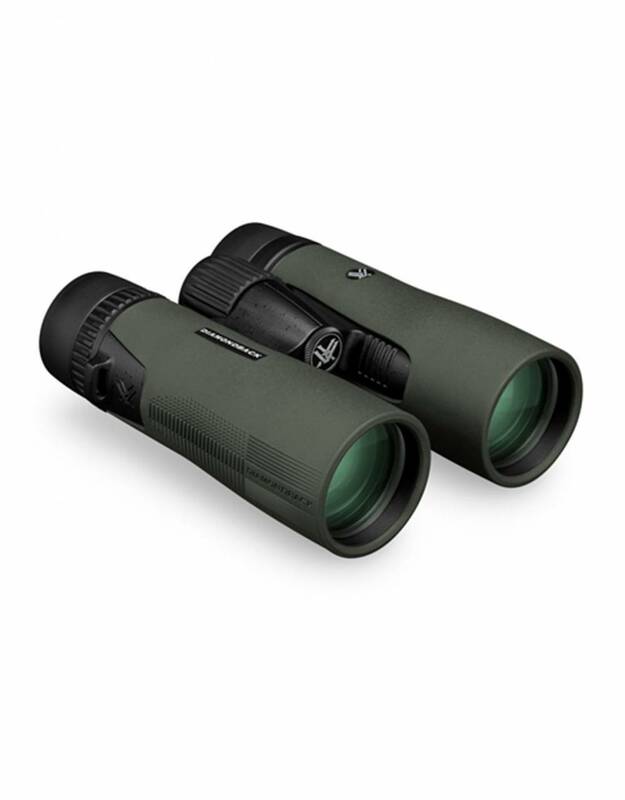 For their superior quality and high-performance optics, the Vortex Diamondback 10x42 binoculars have become our rental binoculars of choice for safaris. We now offer the creme de la creme of the Vortex range to you to rent for your adventure. You will quietly chuckle to yourself when you look through these rental binoculars! Binocular type: We offer three tiers of binoculars for rental purposes as shown above. The images shown on this page are for illustration purposes only and you may/may not receive this exact version for each model of binoculars, but you will receive the same model (e.g. Vortex Diamondback 10 x 42). All our rental binoculars are chosen for being ideal for safari, are high-quality, and are individually inspected and cleaned before being sent to you. We keep an accurate ledger which records the condition of the binoculars before they are sent to you. Binocular care: Please take good care of your rental binoculars. To clean the lenses: Remove as much dust as possible from the lens, without rubbing. Lens cleaning brushes or compressed gas is best; Use a lens-cleaning tissue to gently wipe away any excess dust; Do not try to get the surface perfectly clean - the less rubbing, the better; Only clean if the need arises while on safari or travelling. If they are dusty when you get back to the UK, rather return them to us in a dusty condition for us to clean. Remember: dust + tissue = sand paper, which is not good for delicate, coated binocular lenses. Liability: Please note that we are entitled to charge you in full for our replacement costs for any damage, breakages, or loss of the binoculars (including any accessories or attachments which came with the binoculars) you are hiring from The Safari Store. We check each pair of binoculars before sending them to you and so we know the state of each pair of our hired binoculars. Binocular hire deposit: Please note that an automatic deposit is charged per pair of binoculars. This will be added to your order and will be refunded to your card should the binoculars be returned in the same condition in which they were sent to you. This will be done at the end of the month in which the binoculars are returned. You will receive an e-mail as soon as the refund has been processed. We keep accurate records of all binoculars we send out and so know when damage has occurred during your rental period. For any damage, we will use your deposit to pay for the repair. Where the deposit does not cover the repair and where you have hired more than one pair, we reserve the right to combine your deposit amounts to pay for any repairs or replacement. Binoculars are simple things to look after so, if you take good care of them, then the deposit will be refunded without quibble. We allow you three working days in which to return your rental binoculars to us, calculated as being three working days after the end of your rental period. If we do not receive the binoculars within this time, we are entitled to charge you £3 per pair per day that they are overdue. If you have sent the binoculars back to us by post and they have been delayed in transit, we will take the postal date on the parcel into account.